In 2011, Matt Lardie began Wok Wednesdays with the simple goal of forming a group of stir-fry lovers to cook our way through “Stir-Frying to the Sky’s Edge.” Today, we have nearly 1900 members and Wok Wednesdays has become a dynamic online wok-stir-fry support group. 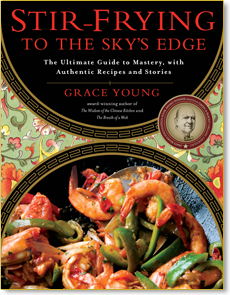 It’s hard to believe we have only one recipe left to cook in “Stir-Frying to the Sky’s Edge!” On September 21, we will begin cooking our way through “The Breath of a Wok!” We’ll discover how to use the wok not only for stir-frying, but also for pan-frying, braising, steaming, boiling, poaching, deep-fat frying and smoking. To learn details of our new journey visit the Wok Wednesdays page. In celebration of this new phase we have lots of giveaways planned for the next few months. The first giveaway is a signed copy of “The Breath of a Wok.” If you already own the 10th edition, you can still enter this contest. Just give it as a gift and I will sign a personalized autograph. There will be two lucky winners. 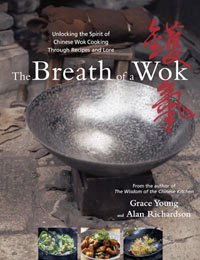 “The Breath of a Wok” was a finalist for the James Beard International Award. 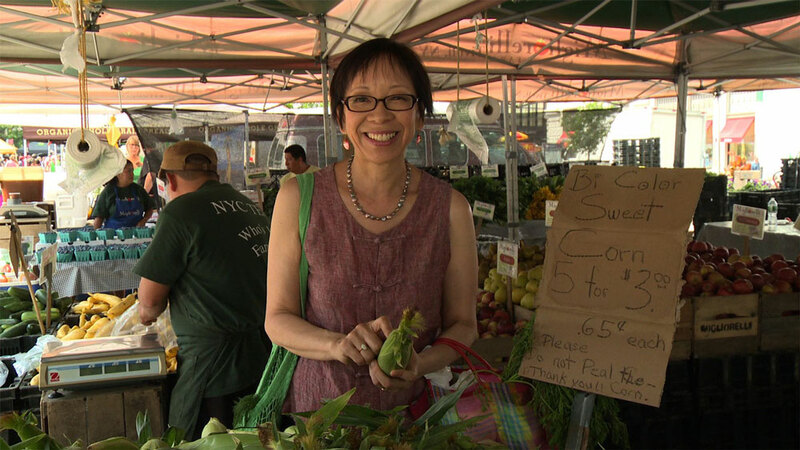 It won the IACP Le Cordon Bleu International Cookbook Award, the IACP Jane Grigson Cookbook Award for Distinguished Scholarship, and the World Food Media Awards Best Food Book. The books will be shipped shortly after September 5th so the lucky winners will have the books in time for September 21 to begin our journey with “The Breath of a Wok!” (Open to Us Addresses Only!) Good luck! I love my wok, because it is the most versatile pan in the kitchen, besides traditional stir fries, it excels at omelets & crepes, to steaks & popcorn, it can handle most anything I can “dish” at it. Traditional Carbon Steel & Cast Iron woks, produce hot, and healthy dishes, that make eating healthy, a lot easier!!! It’s naturally non-stick, and if the patina does wear off, I can re-season it, without many problems, unlike a Teflon coated pan, which has to be thrown out at the sight of the first scratch to the non-stick surface! I love my wok, because when I use it, I know that I’m using a culinary tool, that was invented nearly 2,000 years ago, in the Han Dynasty, and I feel an ancient connection to cooking throughout time, and a cultural connection to the Chinese, who were one of the first civilizations, to have a written language, and who invented paper. I love chinese food and wish i had more recipes for my wok. I’m new to wokking, but I just bought one at the wok store in San Francisco. I’m just finished seasoning it yesterday as per Ms. Young’s instructions in Stir-frying to the sky’s edge. Also used it to cook some bacon (priorities), looks forward to trying Taiwanese-Style Stir-Fried Scallops and Shrimp with Yellow Chives from SFttSE tonight! I’m new to wokking. Love the types of meals I will be able to create as I learn! Want to ‘wok’ my way to good health. I love Grace Young’s expertise. 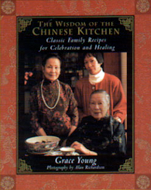 She has inspired my cooking with my wok tremendously. I love the way my picky teens will eat any vegetable stir fried in the wok with just a little bit of garlic. They love that little bit of char. Stir-frying is a great way to get everyone to love eating vegetables. Thanks Sandra! I’m flattered my work has changed your cooking! The wok is a fabulous for healthy cooking—not just stir-frying but steaming and poaching too! Jenny, I’m a huge fan of thecookbookjunkies.com! You’re absolutely right. There’s no pan that’s more versatile than the wok. Congrats on joining the wok club! I’m so pleased you bought your wok from the WokShop. They have the best carbon-steel wok. And it sounds like you’re off to a great start. Let make know how the scallops turn out! Here’s an easy solution: borrow one of my cookbooks from the library!